Extra, Extra! Read all about it! The following are media hits for California Interfaith Power and Light or one of the 38-state affiliate IPL’s. The Rt. Rev. Marc Handley Andrus, bishop of California, welcomed concert-goers by informing them that The Episcopal Church has a “deep and abiding commitment to climate change” and that “the arts are not separate from advocacy; rather, the two bond together to bring to reality the hopes and dreams of humanity. Additional welcomes were offered by Susan Stephenson, executive director of Interfaith Power and Light, and Shawn Rosenmoss, senior environmental specialist, San Francisco Environment. We must take on global warming today or our children will pay a heavy price tomorrow. Investing in cleaner, greener power is a much-needed down payment that will help secure California’s safety and prosperity. Dozens of Bay Area faith leaders, including representatives of Baptist, Jewish, Roman Catholic and Episcopal communities, gathered at the steps of City Hall on Tuesday, rallying against the prospect of transporting millions of tons of coal through Oakland to be shipped out of the former Army Base. 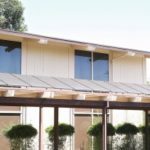 A coalition of environmental, faith, business, consumer and labor organizations have joined solar advocates to deliver a record number of petitions to California regulators in support of the policy. 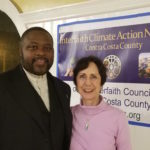 California’s Interfaith Community Unites for the Climate – 11.11.15 – Eden Keeper, nice overview of CIPL Cool Climate Interfaith Service and Awards on November 10 at the Cathedral of Christ the Light in Oakland. Nice pix! Obama, the Pope, and the President of China Are Teaming Up to Save the World – 09.23.15 – Mothers Jones, highlights efforts from world leaders to take challenge of climate change seriously and increase efforts at mitigation; includes quote by The Rev. Sally Bingham. Democrats hopeful pope’s visit will end climate change denial in Congress – 09.22.15 – The Guardian, highlighting The Rev. Sally Bingham, renewed hope for action forward from climate change-resistant federal legislators. 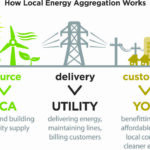 Time for L.A. to embrace energy blessings of the sun: Opinion – 01.16.14 – Los Angeles Daily News, co-signed by Allis Druffel, CIPL staff member, makes faith case for Los Angeles Department of Water & Power to have 20 percent of its energy from solar power by 2020. Health, environmental regulations needed in hydraulic fracturing – 09.11.13 – Capitol Weekly on-line, opinion piece by Rev. Sally Bingham in support of SB 4, Senator Fran Pavley’s fracking bill. Climate change: What’s faith got to do with it? – 01.03.13 – Whittier Daily News, opinion piece by CIPL staff member Allis Druffel on intersection of climate change and action by the faith community. Monthly contribution for the “God’s Green Earth” series. Climate Wishlist: What an Evangelical Climate Scientist and an Interfaith Renewable Energy Organizer Want for 2013 – 12.19.12 – Center for American Progress, interview with Dr. Katharine Hayhoe, atmospheric scientist and Rev. Sally Bingham, President of CIPL. San Diego Moving Planet 350 Rally – 09.24.11 – San Diego KUSI – short overview of climate rally, featuring interview with Allis Druffel, CIPL staff. CIPL was one of the organizers of this event, which included an Interfaith Panel at St. Paul’s Episcopal Church, San Diego. **”Second Baptist Wins Green Energy Award” – 11.16.10 – Santa Barbara Independent. Featuring Second Baptist Church, Santa Barbara recognition for Education. **”Religious Leaders Urge Defeat of Proposition 23” – 10.21.10 – PR Newswire. Featuring CIPL’s Clergy Advisory Committee to Defeat Prop 23.